With snow on the ground and super low temperatures, we have been busy with all kinds of indoor snow activities. This week we have painted snow and even did our spelling in the snow! 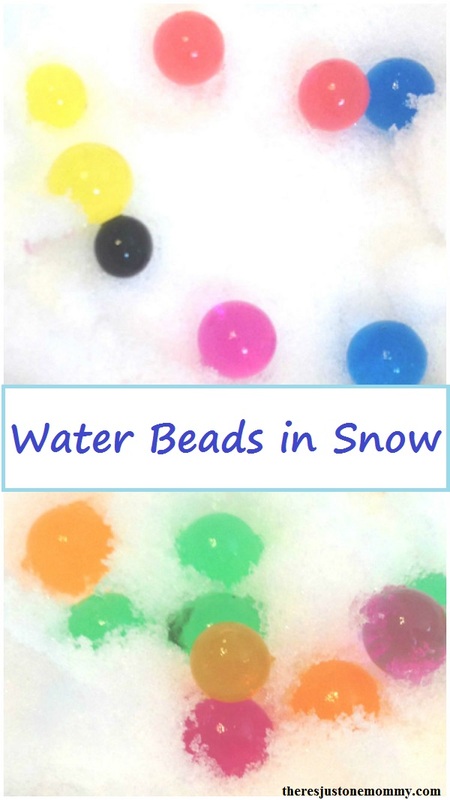 One thing I had really been wanting to try was water beads in the snow, and I have to say it was a huge hit! To start with, I got out our largest sensory tub (a large, under the bed storage container) and put a couple inches of clean, white snow at the bottom. Then I scattered a several handfuls of colorful water beads across the snow’s top. 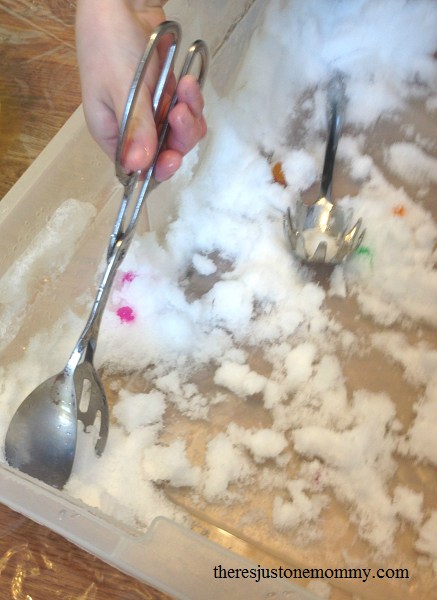 Tip for messy sensory play: I like to place a plastic sheet under any sensory bin containing water (or in this case snow). I also always put several towels within hand’s reach that the kids can use to wipe up spills. It really helps contain the mess to a minimum! 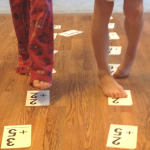 The kids could not wait to get started with this winter sensory activity. I purposely didn’t get anything else out to add to the sensory bin; I wanted to see what they would do on their own. Before I knew it, they had out spoons, bowls, and salad tongs. 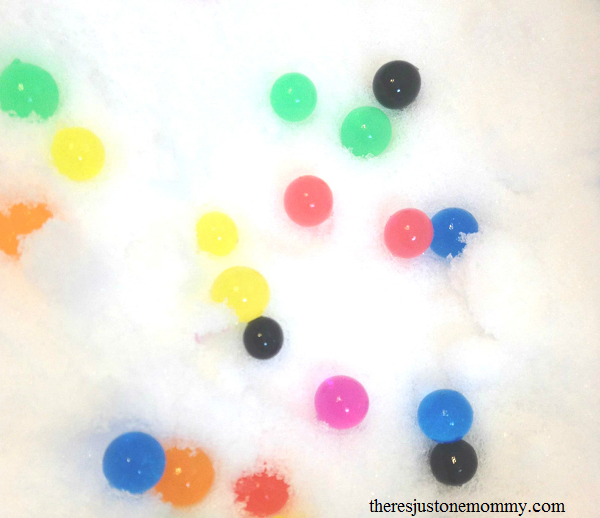 The water beads were so bright and colorful against the white snow, and such a different texture. I wondered what would happen to the water beads in snow, and was happy to see they retained their unique, slippery, slightly squishy feel. My 5 and 7 year-old played with the water beads and snow for over an hour. 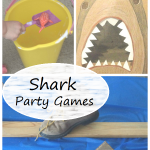 This winter sensory was definitely a hit. 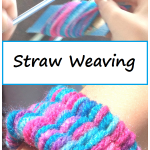 And it is perfect for keeping kids busy when stuck indoors during the winter. Looks like fun. We have snow again today! We just had record cold yesterday. These last four weeks of winter can’t move on fast enough. I’m so ready for spring and outdoor play. May take the kids sledding though. Definitely can’t wait until the warm weather comes! Yes — I hardly believed they played with it for that long! 🙂 Have you tried fake snow? I bet it would be fun with water beads, too. This is just such a creative idea!! 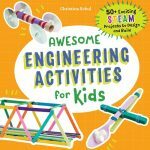 Anything new and different for the kids by this time in the winter is a good thing!! Definitely! It seems the only snow we had before this week was when we had below zero temps. Thank you for linking up on We Love Weekends last week – your post is featured on this week’s We Love Weekends via Witty Hoots. Hope to see you linking up again soon!